Yes I like the Zombie-Yoshi outfit. But i play mostly with the crazy blue 3rd costume or 1p customized mostly black color. Ive seen SC3 outfits; im leaning toward the Alien looking 2p as my favorite. But am glad to see human looking Yoshi behind 1p mask. 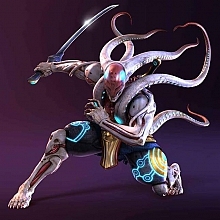 I know Tenshimitsu likes Yoshi in his more human forms. I really like SC so im looking forward to SC3 in October. WAAAAAA! hey im back again, been gone for while and missed a few things, came on today and saw fires and a gate, but now i logged in its changed again??? wat happens? great job again, have you ever thoguht of a qualification in art of some such??? wait a second. did I just see the forest theme of yoshi for some reason? Tenshimitsu... are u working on the evergreen theme? It was defeinitely something I never seen before. That one will be whatever I am setting my theme on. it was awesome. ... then come back to the article. Don't worry... just take it bit by bit and as long as you want. We are patient, right guys? ... yup. Getting yoshi's game better > anything else. I have to say that the current theme is the best one so far. YOT/YTS has never had better. It's much easier to navigate yet it still looks so sweet and simple. Oh, and I love the colors! Great job, Tenshi! Bug: When I try to post a comment on a news post, I get an error message. Dinaga : Bug: When I try to post a comment on a news post, I get an error message. I had the same problem when I tried to post a comment on the poll. I'm going to investigate this problem. EDIT: OK, comments work. Any other bugs you found? Switching to this engine was very time-eating, quite frustrating and very difficult. There still might be some errors.